Across the globe electricity is an inconsistent if not absent commodity for some countries. According to the International Energy Agency there are 675 million people throughout South and SE Asian Nations without electricity, and only an average of 60% have it available in rural areas. Furthermore, the electricity that does flow is often inconsistent at best. In African nations alone 587 million are without electricity. In addition, there are disaster relief requests for light. 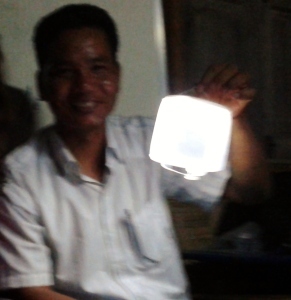 Thus there is a tangible need throughout the world for basic light to function. The Illumilight project was created to not only meet this physical need but to provide missionaries and indigenous ministers a tool that will open actual doors to homes that allow them in to share the True Light of the world; Jesus. It is a portable, water resistant, inflatable, solar powered light about the size of a large roll of TP that self-charges a lithium battery. On it will be printed “Walk in the Light”. We are also working on the viability of attaching a micro SD card that contains the audio New Testament in requested languages. To give, through Frontline Resources, National evangelists and pastors a viable tool for opening doors for the gospel and satisfying a very real need. To afford other churches, groups, or organizations the opportunity to purchase Illumilights for their outreaches while helping fund the ministry outreaches of Frontline Resources. This would include giving Frontline Resources the ability to provide National contacts and teams Illumilights for free. To operate a website for the sale of this product at $14.95 which employs a “Buy one Give one” concept. As well quantity pricing for Churches/organizations. 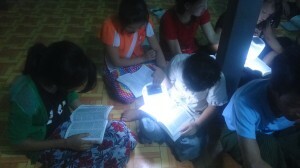 Light for those in need, the gospel message shared and increased income for Frontline Resources to do more ministry.